and contain a wealth of materials unrecorded in other sources. Search The Victoria and Albert Museum Database: Search the Collections is a working database providing online access to over 1.1 million catalogue records and over 265,000 images of objects in our collection. Records vary in quality and reliability and we are continually enriching and updating the database. New text and images are added each month. Southeast Asian Ceramic Society: Formed in 1969, the Southeast Asian Ceramic Society’s purpose is to widen appreciation and acquire knowledge of the ceramic art of China and countries adjacent to China, especially those of Southeast Asia. To pursue this aim, local members meet for periodic discussion, to hear talks by experts and to study and compare ‘pots’. The Asian Art Newspaper was launched in November 1997 and, in 2012, keeps true to its original remit: offering a snapshot of what’s happening in the world of Asian and Islamic art around the globe. Our world is truly international – East Asian, Southeast Asian, South Asian as well as Himalayan arts, combined with coverage from Sydney to Shanghai and from New York to London. The Oriental Ceramic Society (founded in 1921) is based in London but has a worldwide membership. It organises visits to both public and private collections of oriental material, holds seminars, identification meetings and trips to museums in Europe and Asia. Its monthly lectures from October to June are held at the Society of Antiquaries in Piccadilly, London. Northern House Clearance – We specialise in House Clearance throughout Northern England & Scotland. We undertake complete house clearances, all provided by a fully insured & licensed company. We clear houses and flats throughout the whole of Northern England & Scotland. We clear standard houses as well as cluttered or verminous properties & garages, gardens, garden sheds, lofts. Did you know? We can also clean the property once it has been cleared to get it ready for sale or to let. Scotland House Clearance – All aspects of house clearance across Scotland. All reusable items are first taken back to our large warehouse where they are sorted, packed & then delivered to many organizations across Scotland. 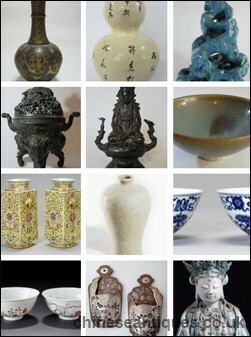 Gotheborg.com This is a Collectors Help and Info Page for other Collectors of antique Chinese and Japanese Porcelain. 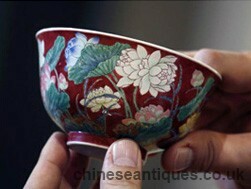 It offers an extensive archive of translated and dated Japanese and Chinese porcelain marks, a Glossary on Pottery, Porcelain and Ceramic Art terms, Chinese porcelain history articles and documents, Chinese travelogues, tons of pictures and Question & Answer pages, and a very large and very active porcelain collector’s Discussion Board and research archive. Oxford Authentication Ltd authenticates ceramic antiquities using the scientific technique of thermoluminescence (TL). TL is a dating method for archaeological pottery which can distinguish between genuine and fake antiquities. Here at Oxford Authentication we have specialised in authenticating ceramic antiquities since 1997. Our reports are held in the highest regard and accepted as a stamp of endorsement from museums, auction houses, dealers, collectors and courts of law the world over.